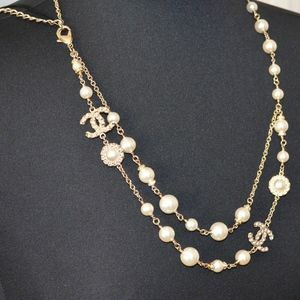 Size: 33"L x 1"W x 1"H Length: 33. 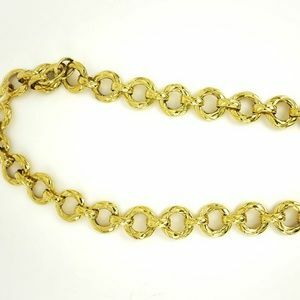 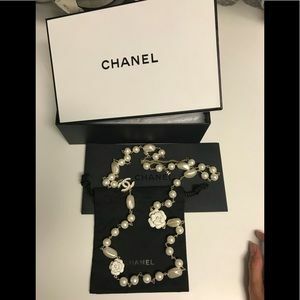 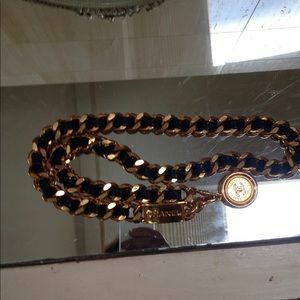 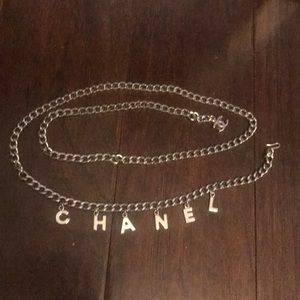 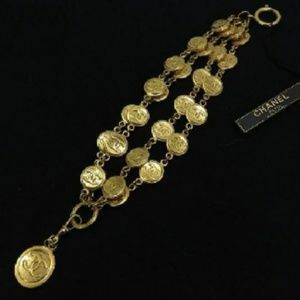 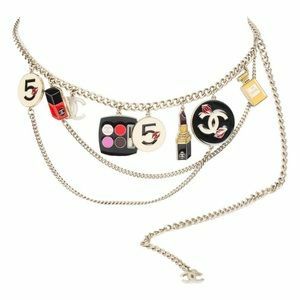 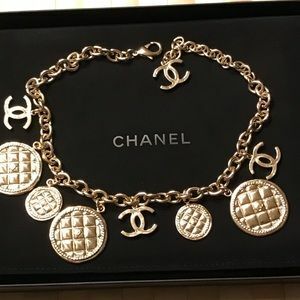 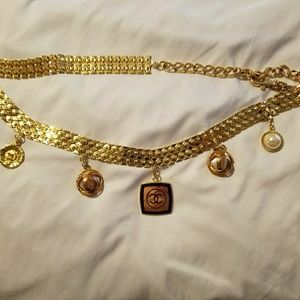 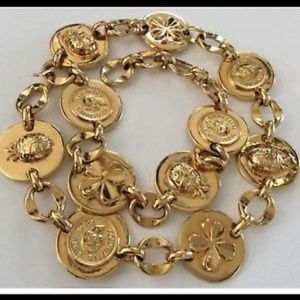 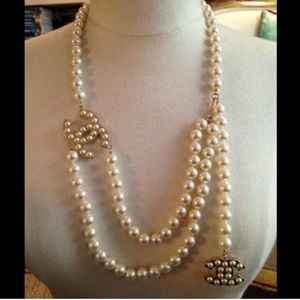 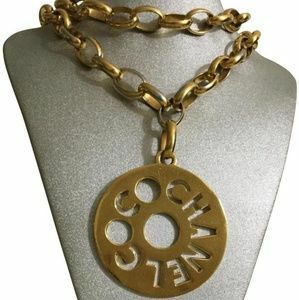 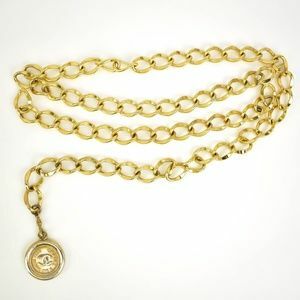 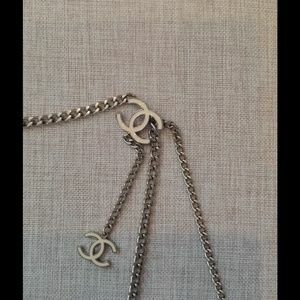 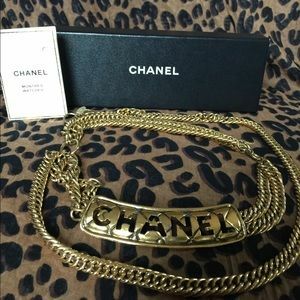 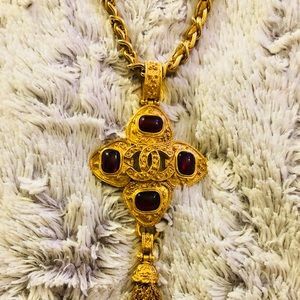 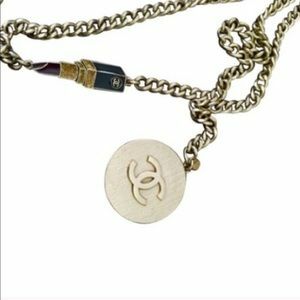 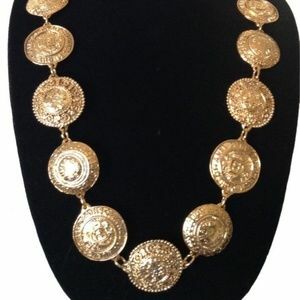 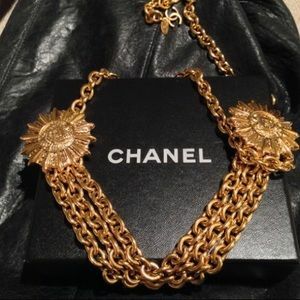 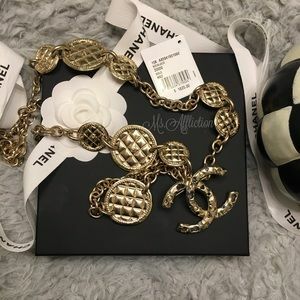 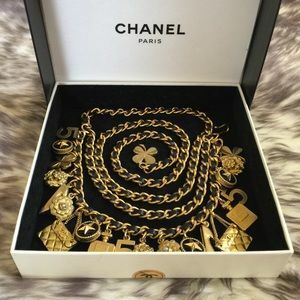 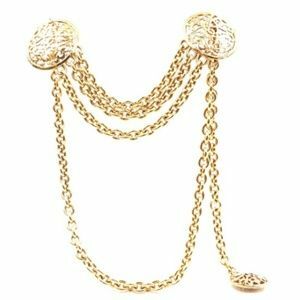 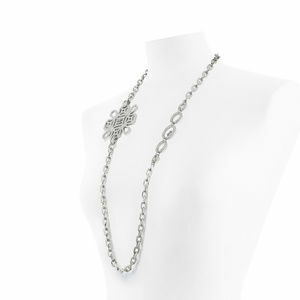 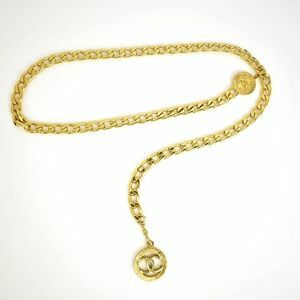 Vintage 28 inch Chanel Belt and Stunning Necklace! 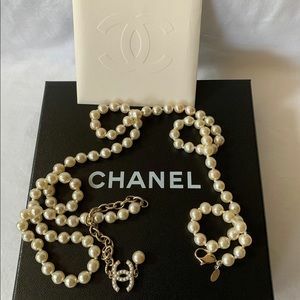 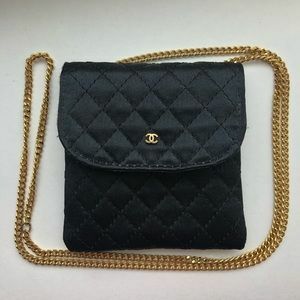 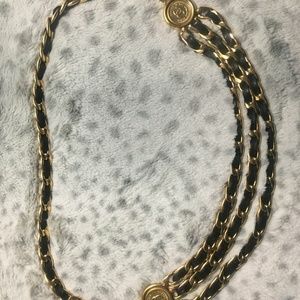 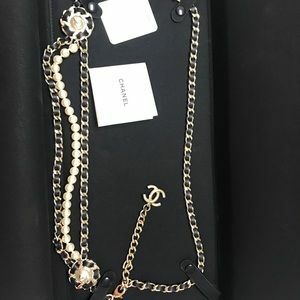 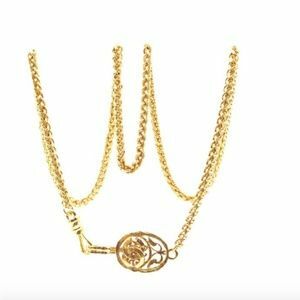 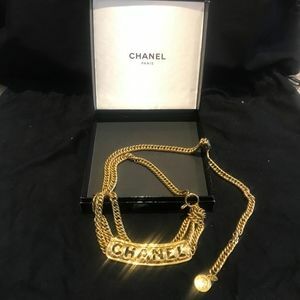 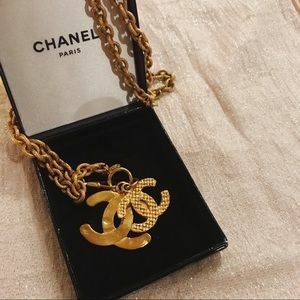 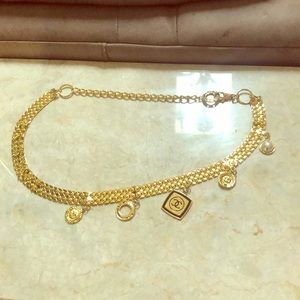 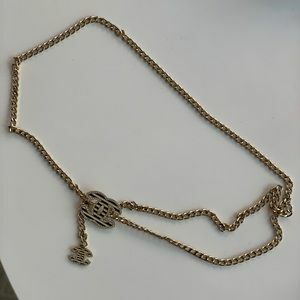 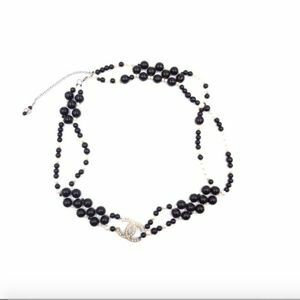 Size: The medallion is 2" x 2" length is about 32"
Size: fits up to 33"
Size: fits up to 32"
Size: fits up to 34"
Size: fits up to 30"
Size: fits up to 38"
Size: fits up tp 32"
Chanel Rose Gold Strass Crystal Web long Necklace.